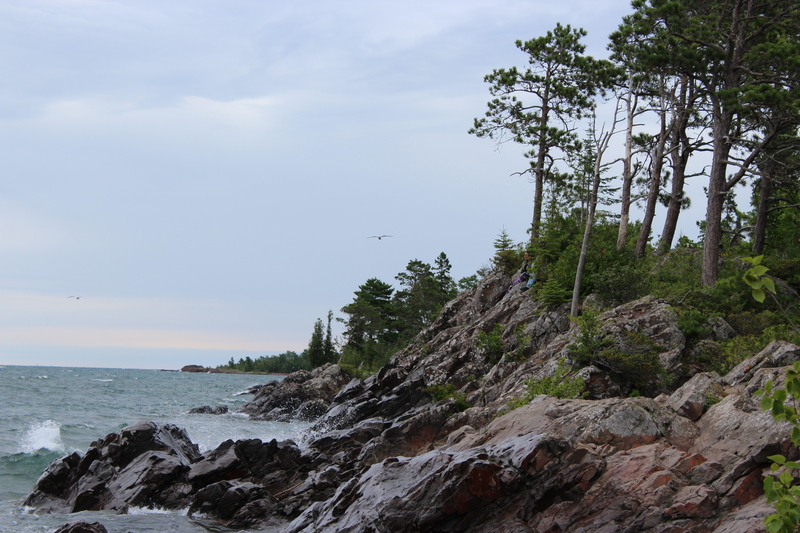 I just got back from a lovely vacation up to Michigan’s Upper Peninsula. It was fantastic! The weather was gorgeous, the scenery was breathtaking, and it was great to see my family again. Unfortunately, I still had some work to do on a couple patterns I owed my publisher, so one afternoon, I sat down with my laptop, my notebook and a cup of tea. You can imagine what happened. I was chatting with my dad and I tried to pick up my tea, but failed spectacularly. The next thing I knew, I had spilled an almost-full cup of tea all over my computer. I lifted it up, and tea poured out the USB ports on the side. It was not pretty. I sopped up the tea as best I could, and let my computer sit near a sunny window for the rest of the vacation, while I crossed my fingers that I hadn’t caused too much trouble. Now we’re home, and my husband has had a chance to open up my laptop and clean out any leftover tea residue. I’ve gotta say, I was completely shocked- I was all ready to go out and get a new computer. I guess it’s my lucky day, or maybe they’re just making computers more idiot-proof than they used to. Anyway, now that my computer is up and running again, I’ll be able to get all caught up with my work again, and hopefully I’ll be a little more careful in the future. This entry was posted in About the Blog and tagged computer, laptop, oops, spill, tea, vacation on August 9, 2017 by onemilljellybeans. In college I ruined a really nice keyboard at my work study with coffee. My boss said it would’ve been fine if I didn’t use sugar, but the sugar made all the keys stick after it dried out. Luckily that boss was very laid back and, after all, it was only a keyboard. I’m glad your computer survived!